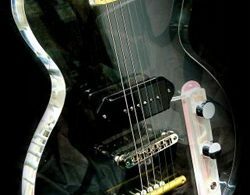 “One off. One at a time. For One person”. 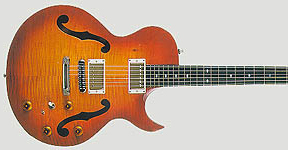 At Lindsay Wilson, Howard marries simple electronics and classic good looks that allow the guitar to speak it’s own special language. 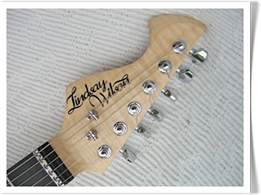 Each guitar is expertly finished in Lindsay Wilson’s distinctive style. 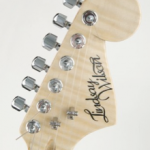 Only the best materials are used with unique individual details that guarantee each guitar is a genuine ‘one off’. 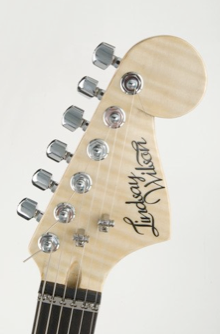 The philosophy at Lindsay Wilson is straightforward- if you want a Fender or a Gibson, buy one. 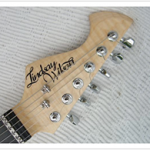 If you want an individual guitar, to suit you talk to Howard at Lindsay Wilson.